My name is Paul French and I’m a writer–books, magazine pieces, reviews, as well as radio and TV scripts. It’s a full-time job and basically I’m working on one or another project all day, usually bouncing between them as deadlines loom. I came to China and ran my own market research company with some other Chinese studies friends. That was the mid-nineties when nobody much was doing consumer research in Shanghai, indeed nobody held out much hope for the emergence of a Chinese middle class. I’m not sure we did either. Consumer research just seemed a good way to nose about in people’s lives. It all came good though–consumers appeared, shopping became a patriotic national pastime and we sold the business in 2012. At that time I decided to try and write something on China that would appeal to a seriously large audience rather than just the China “keenies”. That was Midnight in Peking and it handily came out in 2012-13, sold well and allowed me to jump jobs from research to writing. 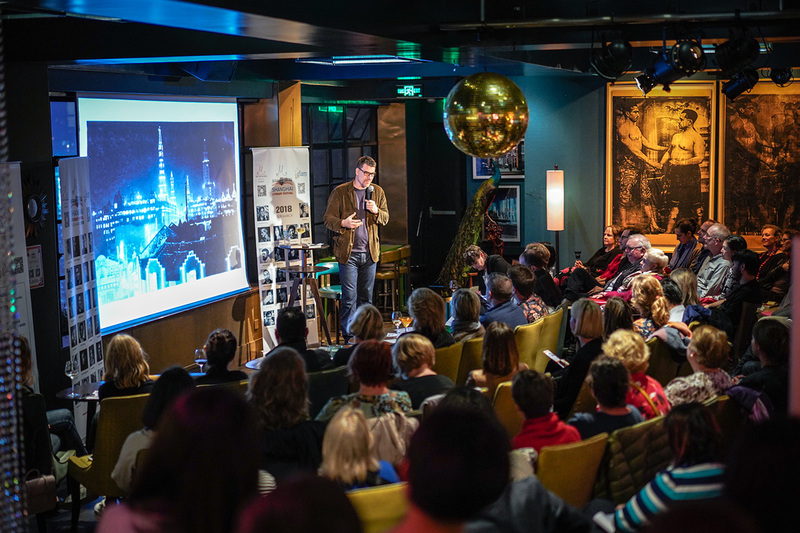 I figured if you wanted a big audience you had to combine genres; lots of people are interested in China and lots of people read crime (and true crime is, supposedly in a “golden age”). So let’s combine the two and get the compulsiveness of crime writing as a way to explain Chinese history. I always loved Shanghai. My great-grandfather was here in the twenties with the Royal Navy – got tattoos, got drunk, was still telling stories about the place fifty years later back in London. The art-deco, the haipai aesthetic, the London plane trees, and the less overtly communist element to the city always made me prefer Shanghai to Beijing. I left for a number of reasons, none of them unusual when you’re in your late forties to fifties with elderly parents that needed care and a career shift that couldn’t happen as easily in Shanghai as in London. Nothing spectacular, no meltdown, no mid-life crisis, no rows with the authorities. Just life. 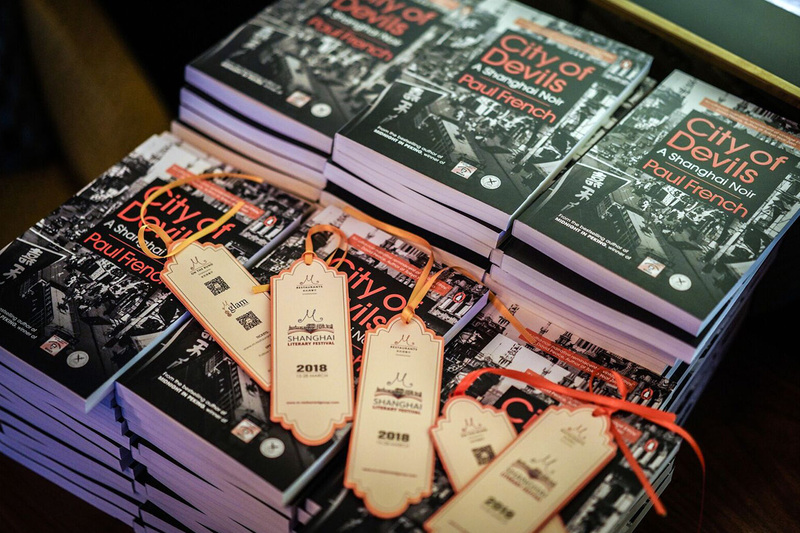 City of Devils is the book I wanted to do for years. I wanted to get under the skin of old Shanghai at its height: the late 1930s. I wanted to tell the story of the foreigners who lived in the city and juxtapose the romantic nostalgia for a cosmopolitan, modern, free-for-all of a place with jazz, cocktails and gangsters with the endemic poverty, the awfulness of life for the poor, stateless and disposed and the ruination of the city due to the Japanese invasion. It’s neo-noir, because that genre allows for the juxtaposition of good and bad while also not overly romanticizing the city but showing that it was, clearly, the most fascinating place on earth at the time. I wish I could go back to Shanghai in the summer 1936, the last summer of old Shanghai. I’d start with a stroll along the Bund, catch the afternoon dog racing at the Canidrome, dinner at Sir Victor Sassoon’s Ciro’s nightclub, late night gambling at Farren’s Casino, and finish up with a pipe or two of the good stuff. The number of historical sites worth visiting declines every year—Laoximen? Gone. Hongkou? Pretty much all gone. Quai de France? Gone. The Canidrome? Bulldozed. So many longtang completely eradicated. I could cry. So, what’s left? Columbia Circle (where I used to live nearby for many years) is still good, some of Tilanqiao around the old ghetto, and the last remaining shady streets of Frenchtown. The river, always the river, first…stand on the raised bank and look back at the majestic Bund putting the enormous carbuncle of Pudong-side completely out of sight and mind. I usually like to step back from the Bund onto Jinkee Road (now called Dianchi Lu) and wend my way through to the old Metropole Hotel (gutted on the inside, but still beautiful on the outside) around dusk to try and capture something of the old city. Then a taxi to Amherst Avenue (now Xinhua Lu) and Columbia Circle, or old stomping grounds that are still redolent of the old city; Yu Yuen Road (now Yuyuan Lu) and its myriad of side streets and laneways. I do very little – wander and eat. Most of the old Shanghainese restaurants are gone now, but I still like Mei Long Zhen off the Bubbling Well Road (Nanjing Xi Lu now) or the Nanxiang Mantou Dian in Yu Garden for xiaolongbao. I retain a great affection for M on the Bund where, no matter how long I’m away from Shanghai, everything is just as it should be, and just as I like it, whenever I return. I visit fairly regularly for events and work but I don’t think I’ll move back to Shanghai. Too many ghosts, and too much architectural devastation for me – the end of Laoximen is especially painful. I loved the longtang and the laneways, the old Chinese city – Nantao is gone now, and the longtang are not going to be a part of the future of the city and so, sadly, neither am I.